Hundreds of years of development has created limitless possibilities for modern knitwear designers. The combinations of yarn blends, knit structures and finishing techniques allow designers to create to their imagination’s content. The simplicity and transportability of hand knitting made knitting a realistic way of making clothing for travelling cultures and early civilisations. The earliest discoveries of knitwear were found in Egypt and Peru from the 3rd century A.D and by the 5th century A.D, the skills had traveled to Europe via trade routes. Before the industrial revolution the availability for fine lace knitwear created on early knitting machines was considered very sophisticated and only available for noblemen and royals. Up until the 20th century, knitting was used in undergarments, made easier by inventions and technological developments in France, Scotland and England. These included hand knitting looms, circular knitting machines and yarn manufacturing equipment. In the 20th century as interest in the outdoors increased, the demand for knitwear in accessible sports and leisurewear styles increased. Sweaters, pullovers and swimwear became available in ready to wear styles. Troops in the front lines of WW1 and WW2 were sent packages of hand knits from women contributing to the war efforts from home. By the 1920’s Coco Chanel had launched a designer knitwear collection, moving it into the truly fashionable world. ‘Simple, knitted, tubular dresses become her trademark and the height of elegant, modern fashion.’ Over the following years designers Elsa Schiaparelli, Jean Patou, Otto Weisz of Pringle of Scotland, Emilio Pucci, Sonia Rykiel, and Ottavio Missoni all pushed the boundaries with knitted fabrics, contributing to the popularity of knitwear today. All of these fashion houses are still going strong, influencing knitwear trends throughout the world. Handknitting has come in and out of popularity, whether it be a pass time, more affordable option for clothing or a creative outlet and hobby. In recent years the craft has made a major revival, evident in the use of social media to find patterns and share projects. 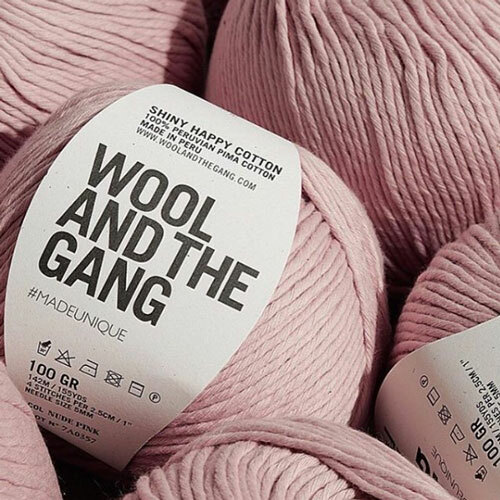 Wool and the Gang (WATG) is a company that started as a revolution to empower makers with an emphasis on sustainability. People are able to purchase knitting kits to ‘D.I.Y’ or buy garments made by members of the ‘gang’. Their 100k+ followers on Instagram and Facebook is testament to their fun marketing and modern, accessible designs. Wool and the Gang has had several successful collaborations with designers including Katie Jones, Christopher Raeburn and Vivienne Westwood. Working with major international fashion designers is bridging the gap between handmade and designer knitwear. Unmade is an exciting knitwear brand founded in 2013. The creators of Unmade Ben Alun-Jones, Kirsty Emery and Hal Watts, are using computer coding to use knitting machines as if they are 3D printers. People can go on the Unmade website and interact with the designs, and then ‘print’ them to order. They have collaborated with many designers, adding to the number of bright, graphic designs customers can adapt and choose from. Last year, Unmade had a pop-up shop in Covent Garden, London where people could go in and see their design knitted in front of them. Kim Haller is making waves as a knitwear designer to watch after her 26 years experience before starting her own knitwear brand. Previously designing for Calvin Klein and then setting up a consultancy business to help designers expand their knitwear collections, Haller worked with brands including Derek Lam, Jason Wu, Michael Kors Collection, TSE Cashmere, Maiyet, DKNY and Macy’s before launching Kim Haller in 2014. A mixture of stitches and yarn textures allow the wearer to dress in knitwear from head to toe including lingerie-esque leotards and camisoles, fine flared mohair trousers and cable knit sweaters. 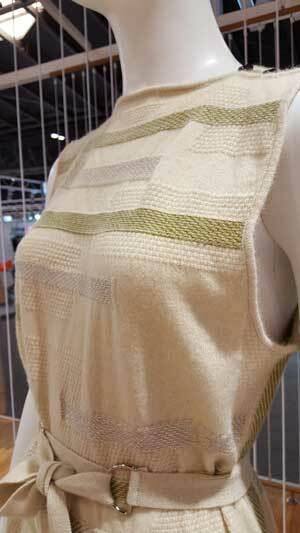 Angela Bell, has also taken her industry experience to start a new knitwear label. Previously the head designer from Pringle of Scotland, Bell’s own label Quenne and Belle is effortlessly chic and the epitome of wearable luxury knitwear. Other knitwear designers to note are: Babaco, Lalo, Spencer Vladimir, Ryan Roche, Honor Fitzsimons and Maiami. Freelance knitwear designer Rory Longdon has gained major international recognition since his graduate collection from Nottingham Trent won 1st place in 2011 for the Graduate Fashion Week Gold Award. Graduate Fashion Week selects winners from over 1000 graduates from the world’s leading fashion and design universities. Recently, Longdon designed a knitted garment using luxury brushtail possum blended yarn from Perino by Woolyarns. The garment was designed for display in the Spinexplore area at SpinExpo in Shanghai for session 28. The area showcases innovative knitting techniques – for which Longdon is known for, using interesting developments in yarn. New Zealand designer Wynn Hamlyn is one to note amongst international designers, with his interesting use of textures that create dynamic collections. Wynn Crawshaw, founder of the brand, clearly knows how to have fun, mixing unlikely textiles and aesthetics and creating something so right that the show-goers at NZFW 16 were in awe. His winter 2017 collection ‘Axminster’ takes inspiration from 70’s carpets and rugs which shows in the carpet coat and accessories reminiscent of Grandma’s living room, that surprisingly work to make a nostalgic yet chic collection. The juxtaposition of such a dominant textile with classic denim, silks and the incredibly soft knitwear is genius. Standout knitwear includes the Nimbus blend from the Perino collection, consisting of 65% fine merino, 25% brushtail possum down and 10% silk. The opportunities to innovate with knitwear are endless. 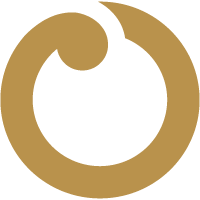 Have a browse of the Woolyarns website to explore premium yarns created where the sun is the first to rise, New Zealand. 2018 Perino by Woolyarns all rights reserved. Website designed by Nettl of Petone.